If you want to build muscle mass, there are a few of the muscle building exercises that you just can't ignore. While "experts" will tell you that there are hundreds of fancy exercises that you need to be performing if you really want to build muscle mass, it's just not the truth. Over the years, I've narrowed the list of the "must do" weight lifting exercises down to only 3 basic movements that I feel give you the best chance at building muscle, stripping off body fat and getting into amazing shape. Allow you to train with a heavy training weight. So if you really want to build muscle mass, then the bulk of your workouts need to be centered around muscle building exercises that allow you to train hard and heavy through a complete range of motion that incorporate multiple muscle groups. It's that simple. So limit your exposure to isolation exercises that don't fit the muscle building exercises criteria by either performing them after your main exercises are completed or simply skipping them all together! 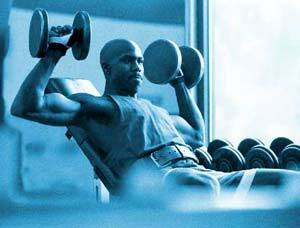 If you learn how to construct your workouts from the best muscle building exercises, your body will grow very quickly. On the other hand if you piece together weight lifting workouts composed primarily of isolation movements, your body probably will not grow. In order to "cull the herd" so to speak and whittle this list down to the 3 most effective muscle building exercises, I had to cut out a bunch of really good exercises and simply stick with the movements that I would perform if my time were limited severely. The 3 exercises that I chose would be the muscle building exercises that I would perform if I were trapped on dessert island with limited access to weight lifting equipment. #1. The first muscle building exercise that makes this list is the back squat. Not much needs to be said here. The back squat fits all of the criteria above and goes one further by stimulating muscle growth in a ton of different muscle groups rather than just a few. Stick with heavy back squats performed with impeccable form to 90 degrees. This exercise completely jacks up the amount of growth hormone and testosterone flowing through your veins and will literally force your body to build muscle mass quickly. #2. The second exercises that makes the list is dead lift. No need to get fancy with differing grips or foot position as the basic dead lift will stimulate muscle growth just fine. Dead lifts make the cut due to the fact that you can really pull a lot of weight while dead lifting and because dead lifts incorporate nearly every muscle in the back half of your body as well as your quads, abs and stabilizer muscles and biceps. This is a great muscle building exercise for adding new muscle mass to your frame once you think you can't gain any more muscle. #3. The third muscle building exercise that I consider to be essential is the good old fashioned dumbbell bench press. The dumbbell bench press allows you to train with very heavy weights that require the use of not only your pecs, but your shoulders, lats and tons of stabilizer muscles as well. You can really stimulate some serious muscle growth by switching up the position of your hands during the db bench press. Small seemingly insignificant tweaks to your hand position allow more emphasis to be placed on your shoulder or pecs as well as allowing you to target both the upper and lower portion of the muscle. If you center the majority (not all) of your free weights workouts around these 3 muscle building exercises and either stick the isolation movements to the back of the workout or leave them out all together, and you allow for sufficient rest interval between sets, you'll be able to train with some very heavy weights. Anytime you can up the poundage抯 a bit and target multiple muscle groups at the same time, (assuming your bodybuilding diet is adequate) is you're going to build muscle mass, end of story. Even though I know that everybody has differing opinions on the best muscle building exercises, I don't exactly think that these choices will ignite a firestorm of debate. If you did nothing other than focus on heavy squatting, heavy dead lifting and heavy dumbbell bench press then you would definitely begin to build a well rounded physique that was absolutely jam-packed with rippling muscle! So there you have my short list of the must-do muscle building exercises that are proven to ignite muscle growth quickly and naturally. About the Author: Nick Andrade is a certified personal trainer and avid natural bodybuilder who specializes in helping people build muscle mass naturally. You'll love the killer muscle building workouts and exercises found in Nick's Muscle Mass Advantage training program. Check it out today and learn how to gain muscle mass fast!